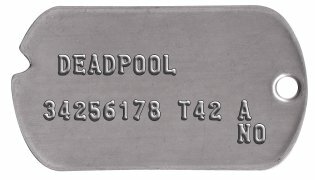 Wade Wilson aka 'Deadpool' replica dogtags. 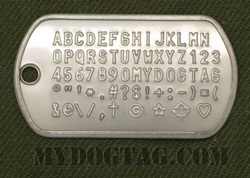 Similar to the dogtags worn by actor Ryan Reynolds and auctioned for charity. Customize to Buy your Wade Wilson Classic Dog Tag Set now! All orders are shipped within 1 business day and are usually delivered within 1 week (in North America). 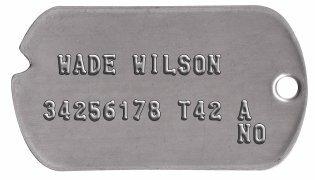 If you need any assistance creating or ordering your Wade Wilson Classic Dog Tag Set please contact us directly, we are here to help!